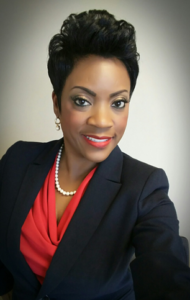 Kendra Adams is a certified administrative professional with 20+ years of experience supporting C-Suite executives, and is widely recognized as a leader in the administrative field. As Executive Assistant at Bridgeway Capital Management, Kendra strategically executes and manages a multiplicity of administrative tasks supporting the President & CEO, Client Service & Marketing Team, as well as Business Operations. Kendra is an active member of the International Association of Administrative Professionals where she has served in various leadership roles since 2002. Kendra is also actively involved in her community where she volunteers as a Peer Counselor at the Houston Pregnancy Help Center, a mentor with LifeSkills House and serves alongside her husband, as leaders in Marriage Ministry. Kendra resides in Pearland, Texas and is a devoted wife, a mother of two and a “GiGi” to two beautiful granddaughters. Kendra will be one of the distinguished contributors at the ELS Forum: Houston on October 25-26, 2018. 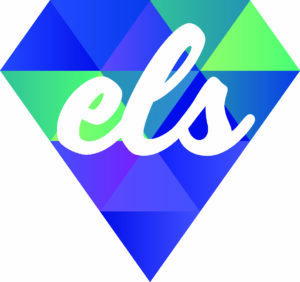 ELS Support Forum is important for EAs because it provides an opportunity to gain knowledge specific to our career, it brings together administrative leaders to share best practices, and it also provides opportunity to strengthen your network with others who are passionate about the administrative profession. I have been actively involved with the International Association of Administrative Professionals for 16 years. Thru IAAP, I have participated in numerous educational seminars geared towards the advancement of administrative professionals. In addition, I earned my designation in 2004 as a CAP-OM (Certified Administrative Professional specializing in Organizational Mgmt). I’ve kept my certification current by continuing to meet educational requirements in the area of leadership, professional development and industry-specific professional development, which is related to the duties of an administrative professional. I also stay connected with my global network of Administrative Professionals. I’m always interested in learning how to do things more efficiently. Being face to face with my peers will allow us to share various ideas that may bring light to a better way of doing a specific task. Prior to joining Bridgeway two years ago, I had a successful career at Invesco for seventeen years. Going from a global firm with thousands of employees to a local firm with 33 Partners was a major transition, but I embraced the change with excitement and positivity. With this change came the opportunity to make significant contributions to a phenomenal firm that was growing at a fast past. I was given the assignment as Project Lead to coordinate the implementation of an automated expense reimbursement process, which included the creating of new processes, training and ongoing support. I’m excited that we have fully implemented an automated expense reimbursement program that has proven to be more efficient and time-saving. Dual Monitors. It helps tremendously with productivity! Don’t be afraid to network. Meeting people helps you to expand your knowledge, share experiences, build connections that could be mutually beneficial, and in some cases lead to lifelong friendships. Success in my role is knowing that I bring value to the workplace (my job is more than a job description). Also, I define success in my role as being a light and a servant leader, so that each day I can leave the office knowing I made a difference!